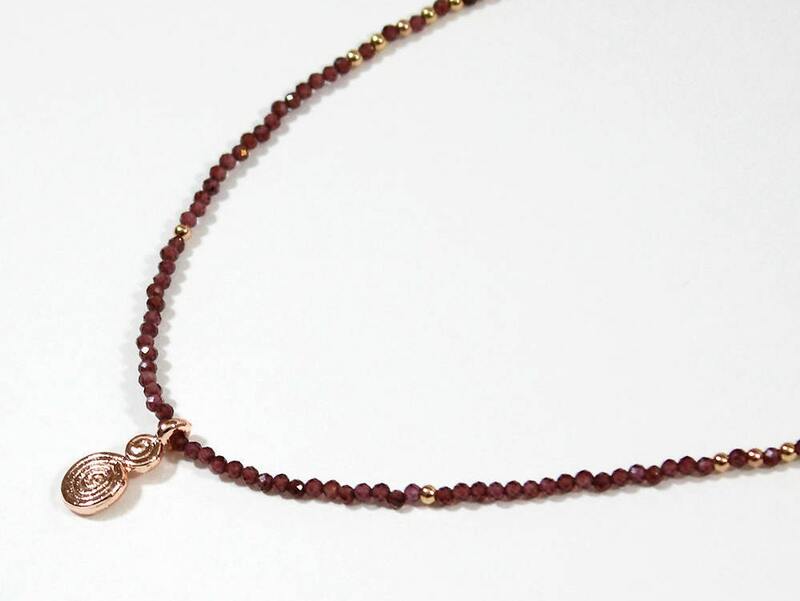 Choker made with Garnet beads. 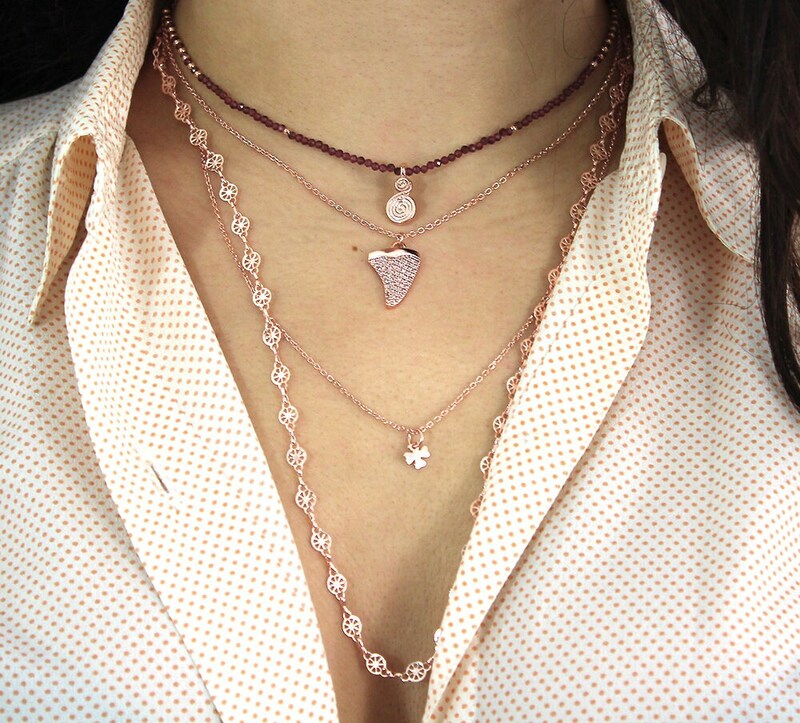 Some beads plated rose gold are interspersed. 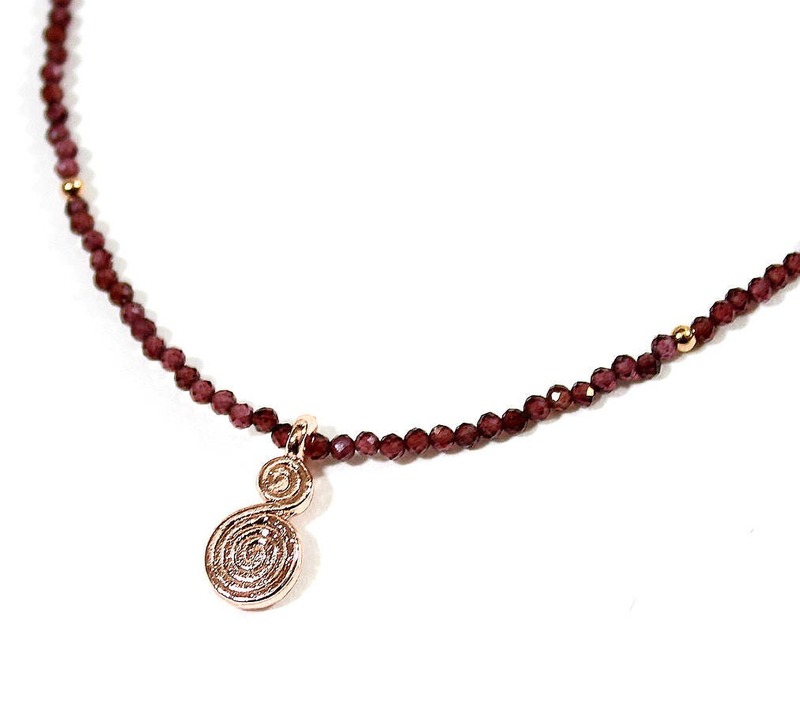 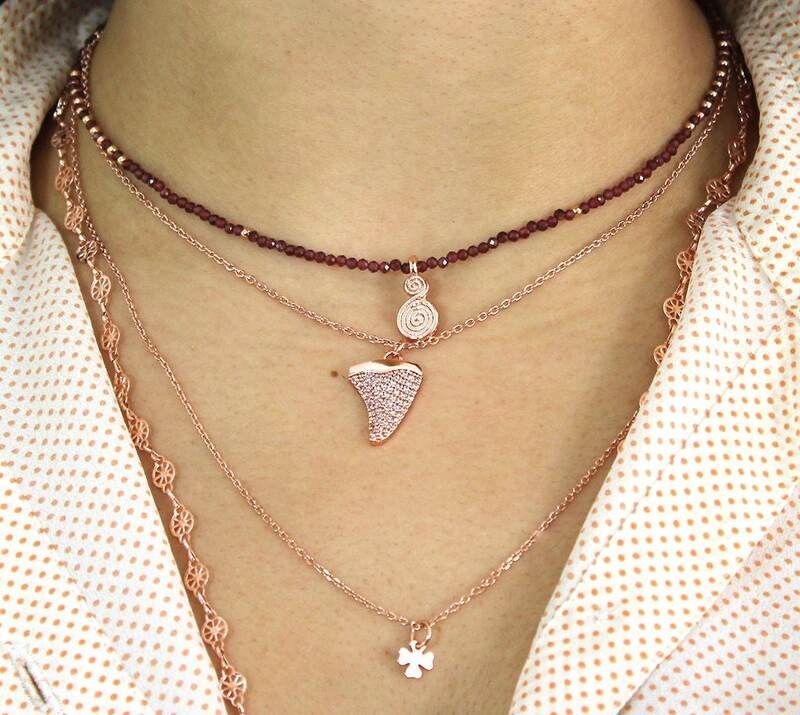 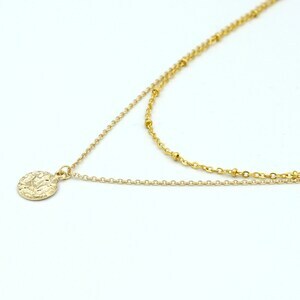 in the Center, rose gold plated pendant.